I’m finding it extremely difficult to like NHL Commissioner Gary Bettman. In fact, let’s replace “extremely difficult” with “pretty much impossible.” I’m talking about the face he puts on the front of the National Hockey League. 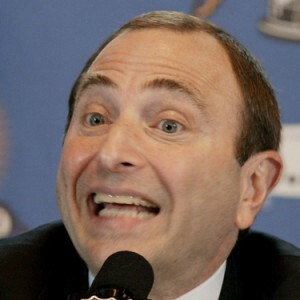 I think fans have to like Bettman to believe that he always has the best interests of the game at heart. I think he has business at heart. Hockey just happens to be that business. And, as a fan of hockey in Canada, that continues to make me very uneasy.